It's hard not to get inspired at the farmer's market. 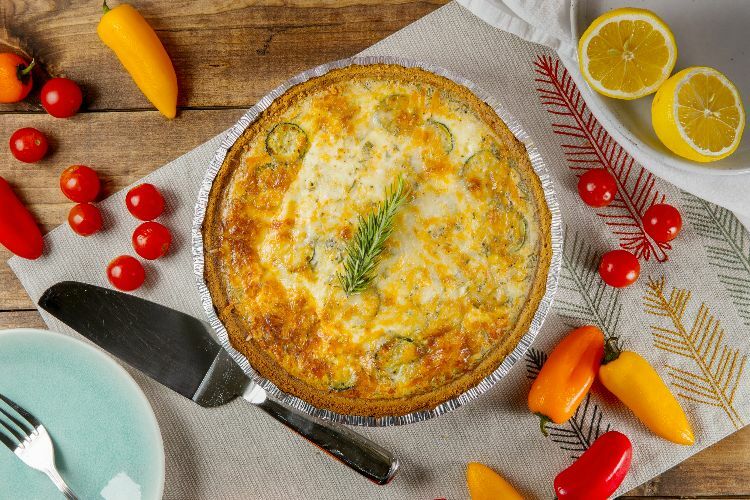 The recipe below for vegetarian farmer's market quiche is the perfect way to use up seasonal produce in a simple, beautiful dish that will show off the colors of summer. Use the ingredients list as a jumping off point: Choose whatever the farmers have that's pretty, fresh and ripe to create the quiche of your dreams. Whether it's summer squash, heirloom tomatoes or even baby aubergines, this quiche is a refreshing way to bask in the deliciousness of summer veggies. Preheat the oven to 350 degrees, and heat a grill or grill pan. 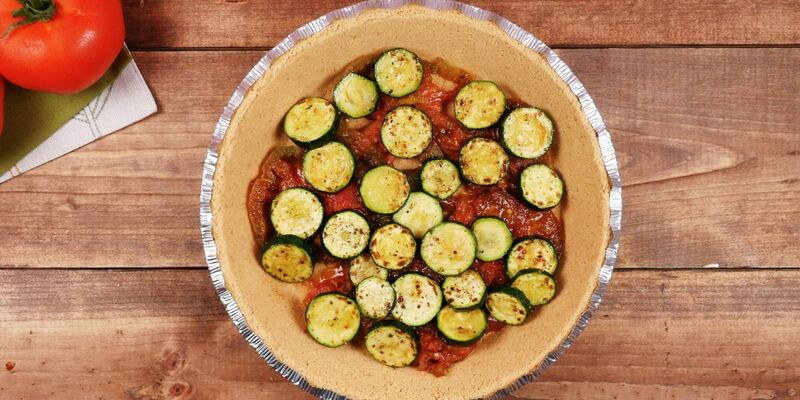 Blot the tomato slices with a paper towel and, using a pastry brush, coat the tomatoes and the zucchini with olive oil and season with salt and pepper. Grill the vegetables on both sides until char marks form. Add the vegetables to the baked pie crust. Whisk together the eggs and the milk. Season with salt, pepper and rosemary. Pour the filling over the vegetables and sprinkle with the cheese. Bake for 45 minutes, or until the cheese is bubbly and slightly browned and the center is just set. Allow the quiche to sit at room temperature for about 15 minutes before slicing and serving.